A Hard Fight For A Political Voice In Biloxi, Miss. When Hurricane Katrina hit the Gulf Coast five years ago, it sent a 30-foot-high wall of water ashore the coast of Mississippi. Sharon Hanshaw, who lost her home and beauty shop in Biloxi, says she's fighting for equitable development for her impoverished community. 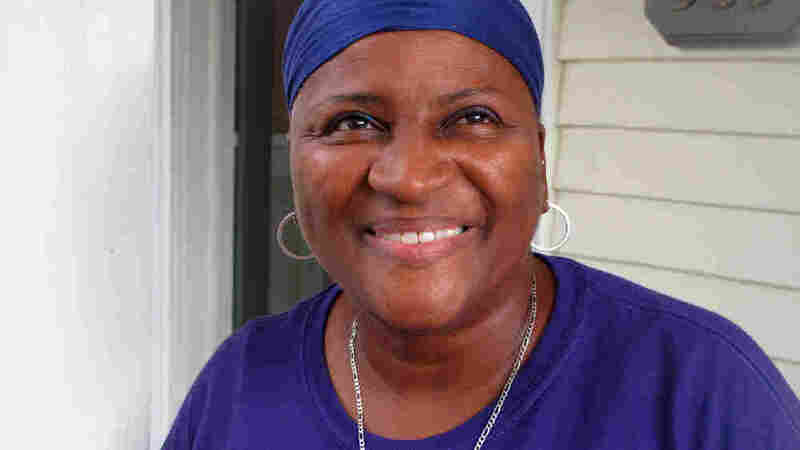 Sharon Hanshaw, a beautician turned global climate activist living in Biloxi, Miss., has traveled the world to tell the story of how her neighborhood has struggled to recover from Hurricane Katrina. Sharon Hanshaw can be a bit defensive when it comes to what Mississippi went through when Hurricane Katrina sent a 30-foot-high wall of water ashore five years ago, destroying nearly everything in its path. For many, remembering Hurricane Katrina evokes images of the flooding and desperation in New Orleans. But it was on the Mississippi coast where the storm came ashore. "The people leave Mississippi out," she says. "And that's the untold story that needs to be told all over the world. You know when they have the Katrina books, but the stories that I'm collecting, they're not in those books. So who's telling the stories?" Hanshaw's story begins with a drive to where she once lived -- in East Biloxi, a narrow peninsula about 10 blocks wide. She turns into a gravel parking lot across the street from one of the high-rise casinos that line the waterfront and parks under a sprawling oak. "My mailbox sat on this tree," she says, pointing to the land. "So, this right here was my front porch, this was a driveway where you went all the way to the back. This was the yard and the house and the shop right here." The shop was Sharon's Unlimited, a beauty salon. Katrina took it all, leaving Hanshaw with no home, no car and no way to make a living. Like everyone else on the block, her landlord sold the property to the casino rather than rebuild. This part of Biloxi suffered near complete devastation. It was a severe blow to the largely minority neighborhood, where most of city's low-income residents live. Wind-damaged households along the Mississippi coast are concentrated in African-American neighborhoods. Locations are based on reported pre-Katrina home addresses. Hanshaw remembers gathering with a group of women after the storm in one of the only buildings still standing -- a funeral home. "And these women were meeting, discussing what can we do to come back stronger, to get our houses, to get our jobs back, to be sustainable," she says. "And so I said, 'Wow, this is what I want to be a part of. We're going to get ourselves together, right?' "
Hanshaw was empowered and helped found Coastal Women for Change, to be a political voice for the neighborhood. It's a personal fight for Hanshaw, who is now 56 years old. She grew up in an East Biloxi housing project. She points to the uneven recovery on the coast. Some neighborhoods are doing fine. But hers is still struggling to come back. "You know you still have a house that's done, a house that's not, a house that's done, land, land, house, empty. That's what really going on. And you don't have your neighbors. If you don't have your neighbors, you don't breathe, you know?" Governments do a lot of things sometimes well. They do streets, they do drainage, they may do some economic development. But they don't do people at all. And unfortunately, that's what needed to be done right after Katrina. Even where homes have come back, that doesn't mean the community is back. Resident Alma Alexander says something's missing. "We don't have no stores, we don't have no dress shop," she says. "Everybody building banks and everything everywhere else, but they're not building nothing around here at all." Hanshaw believes they're being squeezed out. "What I see is development going up all around us. And we're that part in the middle, the little people of color in the middle," she says. "But this is the most expensive property. They want it." Since Katrina, Hanshaw has not been able to find a house she can afford in East Biloxi, and she now lives on the west side of town, separated from her friends. She looks out over her old block, now filled with pickups and cars. "There's no life here. A casino. And we understand that you need businesses in to bring money into the city," she says. But she says she feels like casinos have been put ahead of people. City Councilman Bill Stallworth says the priority was to crank the economic engine by getting the casinos back in business. But he says there's much more to be done. "Governments do a lot of things sometimes well," he says. "They do streets, they do drainage, they may do some economic development. But they don't do people at all. And unfortunately, that's what needed to be done right after Katrina." The recovery has been slower in East Biloxi, he says, because the devastation was so great and the resources so slim. He formed a nonprofit development company to help. Initially, the state used federal relief funds for business redevelopment and homeowner programs. 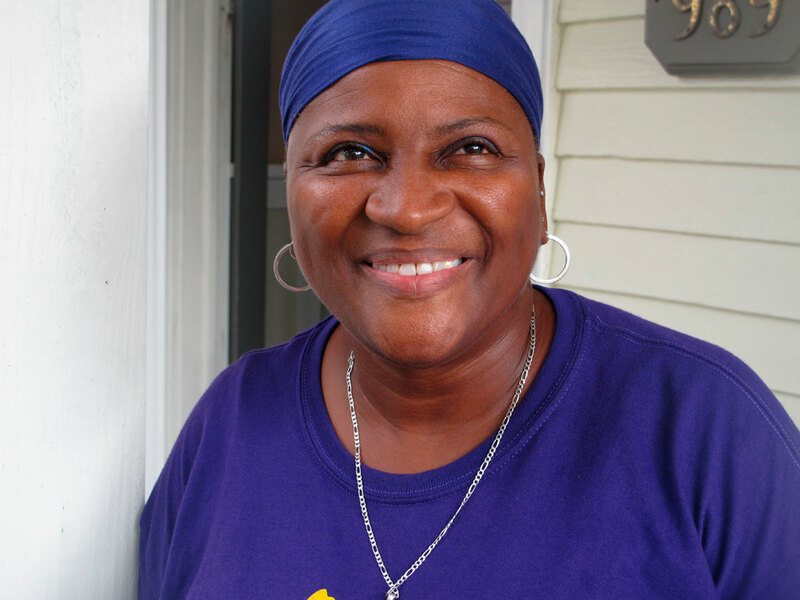 Help for low-income renters didn't come until three years after the storm. 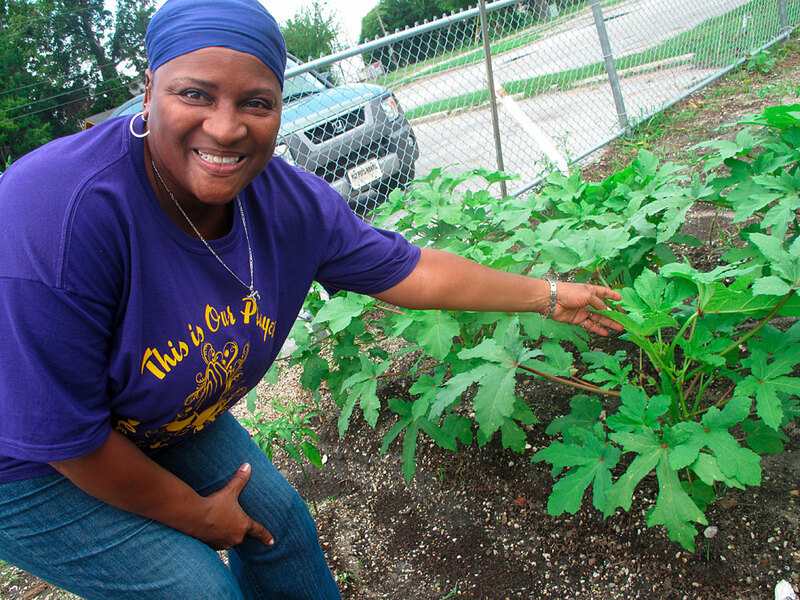 Hanshaw is delighted to find the first pods of okra in the fledgling community garden launched by Coastal Women for Change — a group she founded to help her Biloxi neighborhood rebuild after Hurricane Katrina. The garden is in a neighborhood park in an area that was wiped out by Katrina and is struggling to come back. A new report from the Mississippi Center for Justice shows a two-track recovery on the coast, with the largest clusters of unmet housing needs concentrated in low-income and minority communities, including East Biloxi. "There is a strong pressure at the state and at the national level to call this Katrina story over," says Reilly Morse, co-director of the Mississippi Center for Justice's housing campaign. "What Sharon is pointing out to you is that people have not returned to what had been a vibrant community. When that's the case, we do not have a healed community." It's a message Hanshaw has taken abroad as part of a tour called Climate Wise Women. She's no environmentalist, she says, but knows her story reveals how vulnerable impoverished communities are. "Things are so big people don't know how to handle something like this," she says. "It's worldwide. This is not a state thing. This is a world problem." Lying down is not an option, she says. Hanshaw's motto? "If you're living, you gotta keep moving."